Like many Tunisians I’ve watched with amazement as the poignant act of Mohamed Bouazizi, a fruit vendor who set himself on fire in protest against unemployment and corruption, lit a flame that devoured the Tunisian dictatorship and spread through Egypt, Libya, Spain, Chile and beyond. And like many Americans I’ve watched with intrigue as this energy appears to have arrived on America’s shores, springing up in cities across the country as the 99% or “Occupy” movement. So what, if anything, do all of these movements have in common? And what, if anything, can America learn from the movements that preceded ours? 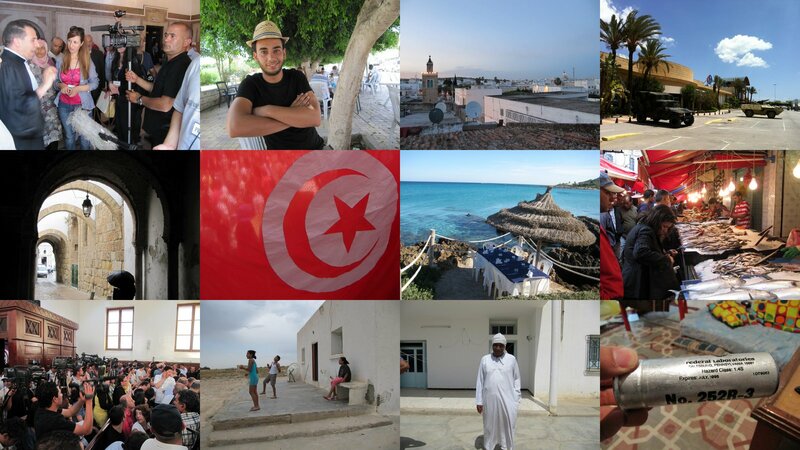 This summer I spent a few months in Tunisia to better understand its revolution. A few weeks ago I had a chance to sit with Occupy protestors in Boston’s Dewey Square. And as I hold these two movements in my mind the similarities are striking. They are both driven by a shared feeling of injustice rather than one specific ideology or goal. They both lack a figurehead and actively reject them. They both speak out against a small group they believe are hoarding economic gains. They both despair at the lack of career prospects, especially for educated college graduates. And they both demonstrate impressive ad-hoc organization, facilitated by social networking tools. While the movement in America is just taking off, Tunisia’s is eleven months old. And so as America grapples with this new phenomenon, how did things go in Tunisia? On the one hand there were surprising benefits. In Tunisia the revolution restored a sense of national pride: today Tunisians feel a sense of ownership over their country, proudly displaying the national flag, singing the country’s anthem, and launching civil society organizations to address social issues. In Tunisia the revolution helped to recalibrate social values: a security vacuum and a garbage collectors strike gave Tunisians a renewed sense of appreciation for policemen and sanitation workers, despised and ignored, respectively, by society. But Tunisia’s revolution also came with unexpected challenges. The judgment that fueled the revolution also worked to undermine it: in Sidi Bouzid, the birthplace of its movement, the very people who rose up against an authoritarian dictatorship months later prevented certain political parties from campaigning in their city. Removing the country’s leadership did not remove its imprint on society: through years of conspicuous consumption and thuggery the deposed regime modeled behaviors which have influenced norms around achievement and leadership. While there are many commonalities between America’s movement and Tunisia’s, it’s also true that the factors that motivate each one are ingrained in the unique histories and circumstances of each country. From the suburban Boston baby boomer I met who keeps pushing back her retirement because her savings can’t sustain her, to the South Carolina-raised student whose single-parent mother sacrificed for him to get his Master’s degree only for him to be unemployed, America’s movement is very much its own. The path it takes will certainly be different. And, as America’s movement matures and takes shape, it will be interesting to see how Tunisia’s experience, and those of the countries that followed, can serve as a source of insight and learning. // As published on the Presencing Institute. A (poetry) review of Neyssatou‘s performance at Creative Commons’ “Sharing The Spring” concert in Carthage Tunisia.